262 pages | 42 B/W Illus. For many, social thinking is hard-wired at birth and strengthens, quite naturally, through progressive experiences and encounters with others. However, for a variety of reasons, some children find it harder to think socially, develop socially and use their social tools suitably when it really counts. 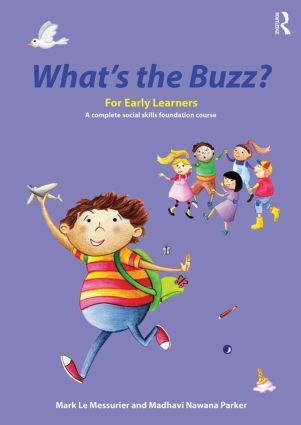 ‘What’s the Buzz?’ is the original social skills programme and became an instant best-seller, used by practitioners around the globe with children and young people, helping them to successfully transfer these skills into their everyday lives. is a simple, structured programmes to teach students in early learning and early primary school settings, within the 4 to 7 year age range. explicitly demonstrates methods of how children can get along with one another and nurture friendship groups. By drawing on the modelling of targeted social skills, role play, explicit guidance, feedback and games, this resource is imaginative, very practical and is enhanced with visual materials and worksheets to accompany each lesson.